Many times it takes MORE time to alter a store bought pattern so it will hopefully fit than it takes to actually SEW the pattern. We all have our particular “adjustment” areas — hips, waistline, bust issues, etc. How often have you FINALLY gotten a pattern to fit right and actually look good, when the next problem is that you can’t make every garment the same! Well, I have some good news for you! You can take that one pattern and change the neckline and/or sleeve styles so that you can have a complete wardrobe of a wide variety of styles from just that one basic dress/blouse pattern. Check this out……. ONE basic neckline on your great fitting pattern can be changed to make all these styles. The instructions on making necessary changes for the new necklines are easy breezy! PatternsThatFitYou.com has this pattern changing class as well as many others. That SAME great fitting pattern’s basic sleeve can be changed to make all these different styles! Easy step by step instructions for making the changes are also at PatternsThatFitYou.com. Not only will you be saving a bunch of money by using your great fitting pattern to make all kinds of garment styles, the above pattern changing classes are NOW on a special 20% off summer sale (use the promo code SUMMER) to get a whopping 20% off everything at the PatternsThatFitYou.com website – through the end of June. And remember, if you’re having issues with your sewing machine (tension, timing, thread knotting in the bobbin area, etc), check out the information on our Sewing Machine Repair for the Home Sewer book. Save time and money by doing your own sewing machine repairs and adjustments instead of having to take it to a repair shop. How much time do you spend deciding which products to promote on your website or blog? Let’s think about it for a minute — XYZ company pays 7% commission for every sale and has lots of great items that can be promoted. ABC company pays 10% commission, but somehow their products don’t appeal to me as much. But then again, 10% commission looks really good. Sure wish I could find some great products that would pay perhaps 15% commission AND be top of the line products as well! HOLD ON a minute!! Aren’t you passing up the best products available that perhaps pay you 100% — YOUR OWN PRODUCTS? What if your newly designed widget started selling like hotcakes and a customer wrote in and told you she found a new use for that widget. Don’t you think you should be talking about that widget and the many uses for it? How much commission would you get from each sale of that widget — you’d get ALL the money, not just a few pennies! For example, we have people write in saying “I bought your ‘Make Your own Shorts/Slacks Class’ and for the very first time I’ve been able to make a pair of slacks that fit perfectly”. Doesn’t that sound like something worthy of mentioning in a comment page or on the website? Or, what about the one that emailed us saying she’d bought our “Sewing Machine Repair For The Home Sewer” a month ago, and since receiving it she’d been able to follow the directions and fix 3 of her sewing machines that had gone “on the blink”. WOW! What wonderful emails and kind things to say about OUR products! I would never say NOT to promote other items through commission programs because that is a very good way to make some extra money on the side. What I AM saying is not to underestimate your own products, so be sure you’re promoting all of your goodies in addition to those commission products. We talk and read so much about plus size children – how difficult it is to fit them as well as the fact that there are getting to be more and more children in the “overweight” and “obese” categories. With so much talk about the plus sizes, we rarely hear about small petite children. I realize that it really isn’t that common to see little tiny petite girls and boys, but they do have fitting problems as well. One of my little 5 year old granddaughters certainly can be classified among the very petite. None of the quadruplet grandchildren are very big, but this little girl could probably wear a size 2T around the waist. The problem is that with her height, the 2T would ONLY fit around the waist — the crotch would be way off as well as the length would be too short. Size 5’s pretty much swallow her up, requiring quite a few alterations just to try to get a basic fit. For her, as well as others we’ve heard from, pattern making is the best alternative when trying to get clothes to fit properly. We have had a number of requests for our Petite Girls Pattern Making Class, which was a nudge for me to mention it. Little girls with shorts/pants that won’t stay up or those with crotches that are very tight just to get the right fit around the waist just can’t be comfortable for them. 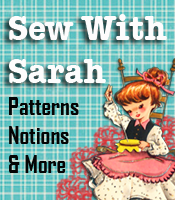 If you’re in a sewing business, I’m thinking this area might be one that is overlooked. Of course, sewing for plus size children is an unending market, with tons of children out there, but don’t forget about the petite children as well.